It’s not about keeping up. It’s about getting ahead. Farm World has over a decade of experience selling, servicing and supporting Raven precision farming technology. We have helped hundreds of producers choose the right Raven product for their farming operations to increase yields, reduce input costs and save time. SPECIAL PRICING AVAILABLE -- CONTACT US TODAY! Envizio Pro is the perfect interface for tying your different system functions together. From integrated GPS technology, advanced data mapping and record keeping to dual product control, boom management, assisted steering and planter controls, Envizio Pro works seamlessly to deliver greater efficiency and performance. With the latest in advanced computer software and RTK technology, Envizio Pro brings a new level of accuracy and control to virtually every production area. For professional operators and larger growers looking for the ultimate in productivity and performance. With guidance and steering, variable rate application, wireless communications, boom control, real-time weather records, and data mapping. RTK sub-inch accuracy to high speed hydraulic assisted steering, automatic boom height and section control, Viper Pro benefits go straight to your bottom line—especially when you consider Viper Pro's powerful time-saving and productivity-enhancing features. SmarTrax assisted steering sets the limits with faster operating speeds, best-in-class line acquisition and easier, more relaxed driving. The more acres you farm, the more you'll appreciate SmarTrax assisted steering that's carefully designed and engineered with the convenience, reliability and performance. With automatic system calibration, SmarTrax assisted steering saves you time and money right up front. SmarTrax is compatible with all Raven field computers and guidance systems. 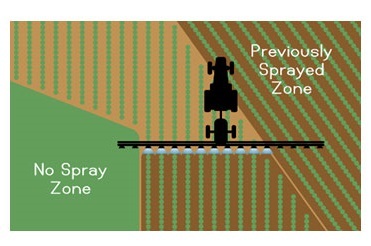 With SmartBoom's automatic GPS-guided on-off section control, you can cash in faster with more accurate spraying while eliminating costly skips and overlaps—and avoiding no-spray areas. SmartBoom is the simple and affordable way to add automatic section control to your application system. All you need is GPS, as SmartBoom does not require a field computer. 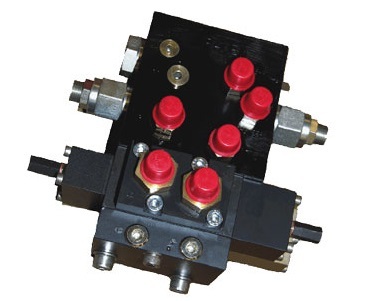 With automatic on-off section control for up to 10 sections, it's fast and accurate—and gives you an immediate return on investment with savings in time and inputs. SmartBoom automatic boom section control works with most self-propelled and pull-type sprayers on the market. That makes it simple for you, good for the environment and even better for your bottom line. 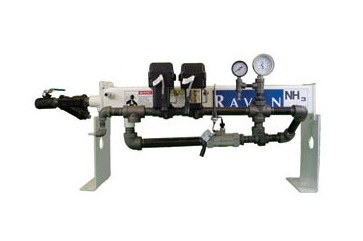 Paired with your Raven control system, AccuFlow super cooling NH3 technology gives you superior accuracy and control over your applications for higher yields, less waste and lower input costs. Properly matched with Raven's spray consoles or multi-function field computers, the AccuFlow system guarantees your crops get the nitrogen they need, where they need it. Simply set the rate and drive—or VRA your NH3 application for even greater cost savings and efficiency.